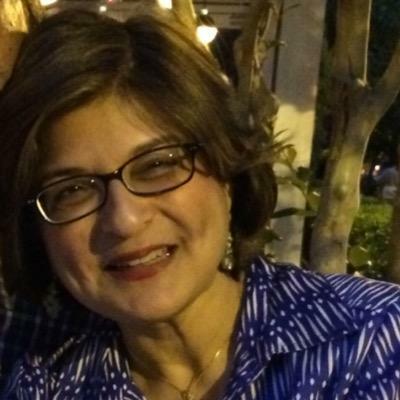 Ms. Farahnaz Ispahani has been a leading voice for women and religious minorities in Pakistan for the past twenty five years, first as a journalist, then as a member of Pakistan’s National Assembly, and most recently as a scholar based in the United States. An advocate of Pakistan’s return to democracy during the military regime of Pervez Musharraf, she served as a spokesperson and international media coordinator for the Pakistan People’s Party, working alongside the late Benazir Bhutto. During her tenure in parliament (2008–2012), she was a member of the Human Rights Committee and the Women’s Parliamentary Caucus. In 2013–2014, she served as a Public Policy Scholar at the Woodrow Wilson International Center for Scholars, where she completed a book on the persecution of religious minorities in Pakistan. In 2012, she was listed amongForeign Policy magazine’s Top 100 Global Thinkers, as well as Newsweek Pakistan’s Top 100 Women Who Matter. During her fellowship, Ms. Ispahani is exploring women’s political participation in the Muslim world, both in terms of their progress toward gender equality under democratic systems and the converse rise of women as agents of extremist propaganda within the world of the Islamic State. “Silenced: Another Killing Amidst Pakistan’s Democratic Trappings,” Foreign Policy Magazine, April 28, 2015. “EWTN News Nightly – 2015.3.16,” EWTN News Nightly, March 16, 2015. “Religion and the Liberal International Order,” The German Marshall Fund, March 21, 2015. “The Islamic State and its Impact on International Affairs in the Middle East,” Paul H. Nitze School of Advanced International Studies, John Hopkins University, April 1, 2015. How Sabeen Mahmud’s murder reveals the limits of Pakistan’s democracy. Sabeen Mahmud was killed on Apr. 24 after hosting an event in Karachiabout the brutal suppression of an ethnic nationalist insurgency in the restive province of Balochistan. The murder of another leading Pakistani social activist has drawn attention to the systematic elimination of the few liberal voices in the country. Beginning with the assassination of former Prime Minister Benazir Bhutto in 2007, several outspoken critics of Pakistan’s jihadis and their backers within the state apparatus have either been killed or silenced by intimidation. Yet Pakistan also continues to maintain the trappings of democracy, making it difficult for many both inside and outside Pakistan to understand the method in the violent madness. Pakistan’s notorious and ubiquitous ‘deep state’ — personified by the Inter-Services Intelligence (ISI) agency — had blocked a similar event on the suppression of the insurgency in Balochistan at other venues but Mahmud allowed the event to take place at her café and arts space. She was killed soon after she left the talk. Although some critics have pointed the finger at ISI,othershave raised the valid question that killing Mahmud right after the event was bound to attract attention to the agency and could be the work of those who wanted precisely to direct blame at the ISI. Unexplained murders in Pakistan are often blamed on ‘foreign hands.’ In most democratic countries, speculation about who murdered Sabeen Mahmud would end with a proper investigation and a credible trial. But Pakistan is not like most other democratic countries. Pakistan has an elected parliament and a diverse media. It allows contestation for power among an assortment of political parties. Many Pakistanis are able to criticize their government and debate the corruption of politicians. This creates an illusion of Pakistan’s freedom glass being half full. On the flip side, there are unsolved murders of public figures and journalists; bodies of Baloch nationalists dumped after being killed by security services; and the attacks and threats of violence by as many as 48 Islamist terrorist groups. Pakistan is considered one of the most dangerous places for journalists by the Committee to Protect Journalists (CPJ), which has recorded the killing of 56 journalists in the country over the last two decades. Several journalists, likeHamid Mir and Raza Rumi have escaped death after being shot at in what were clearly attempts to silence them. Violence in Balochistan is endemic. Last year 153 bullet-riddled bodies were recovered in Balochistan, according to human rights groups, which blamed security services for systematically eliminating suspected Baloch militants as well as their sympathizers. Baloch militants, too, have been responsible for killing members of other ethnic groups whom they see as encroachers on their traditional tribal homeland. There is little discussion of Balochistan in the national or international media. Foreign journalists are not allowed to visit the province except with special permission. Some, like the New York Times’ Carlotta Gall, have beenbeaten up upon arrival in Quetta, the provincial capital, to dissuade them from looking for stories there. The attack on Hamid Mir followed his attempt to discuss Balochistan on his television show and now Sabeen Mahmud’s murder has also followed an attempt to talk about the situation in the province. From an international perspective, Balochistan is deemed less important than the challenge of Islamist terrorism in Pakistan. Jihadis, some of whom have been supported by ISI in an effort to project Pakistani power in Afghanistan and against arch-rival India, have wreaked havoc in Pakistan for years. Several thousand Pakistanis, have died in terrorist attacks across the country. The Pakistani military is engaged in battling some jihadist terrorist groups in the country’s northwest tribal region bordering Afghanistan. But other internationally designated terrorist groups continue to operate openly in Pakistan’s cities and their leaders are even able to appear on national television. The systematic elimination of liberal voices in Pakistan can best be understood in the context of red lines set by the ‘deep state.’ Arrogant in the assumption that they alone know what is good for the country and what should or should not be publicly discussed, Pakistan’s spooks allow only a ‘circumscribed democracy.’ This explains why some ostensibly liberal Pakistanis survive while others do not. Subjects that incur the wrath of the ‘deep state’ and its terrorist allies include their atrocities in Balochistan and the persisting ties between the ISI and jihadis. Other topics that upset them include suggesting normalization of ties with India without resolving the Kashmir dispute or proposing curtailment of the military’s role in policy-making. The killing of Sabeen Mahmud is most likely meant to be a warning to others not to publicly discuss state enforced disappearances in Balochistan. Pakistan’s liberals are tolerated as long as they stay within their prescribed limits. They may discuss gender inequality and politicians’ corruption, even religious intolerance. But questioning the ‘deep state’ and its myopic vision is where the line is drawn. Link to the Article: “Silenced: Another Killing Amidst Pakistan’s Democratic Trappings,” Foreign Policy Magazine, April 28, 2015.